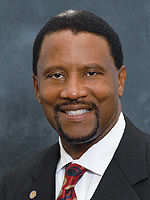 Oh, Gary Siplin of Orlando: Did you not learn anything from last legislative session? Did you not realize that legislating underpants makes you, and the rest of us, look like reactionary fools with misplaced priorities? Apparently not. Because Gary Siplin (D-Orlando) reintroduced the Saggy Pants Bill. Yes, our esteemed Democratic senator from Central Florida is at it again. SB 390 would prohibit students from exposing below the waist underwear while on the grounds of a public school. I will give Siplin credit on one thing though — this year his penalties are a little more sane. Last year, he proposed arresting said youth rocking out with their drawers out. This year, small kids in big pants will receive a verbal warning for the first offense, suspension for three days on the second and a five-day suspension for a third offense. Besides the dubiousness of the state regulating local dress codes, Siplin fails to recognize that school districts already have dress code requirements that prohibit saggy pants. Oh, Gary Siplin, what’s next for you? Short skirts? Stinky socks? Mandating clean underwear (in case of an accident)?! Winter in Korea: When will my school turn on the heat? Pingback: Bino’s Blogaroni » Blog Archive » Sag it isn’t so! Obviously Mr. Siplin doesn’t think he has more important things to be concerned with than playing Fashion Police. It says something about his priorities, imho. If I lived in his district I’d seriously consider voting him out come next elections. I would strongly suggest anyone in that district think about doing just that. Previous post The Bipartisan Guide to Ridiculous Legislation is back!